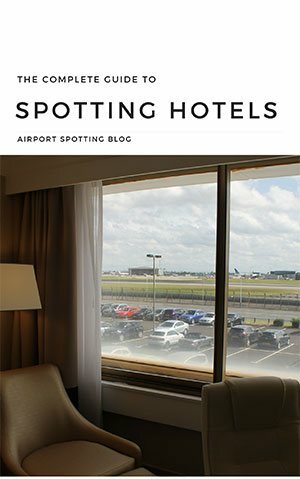 Flying Si recently spent time at Chicago O’Hare to try out two of the airport’s best spotting hotels – the Hilton O’Hare, and the Wyndham Garden at Elk Grove Village. He sent us this report and pictures. 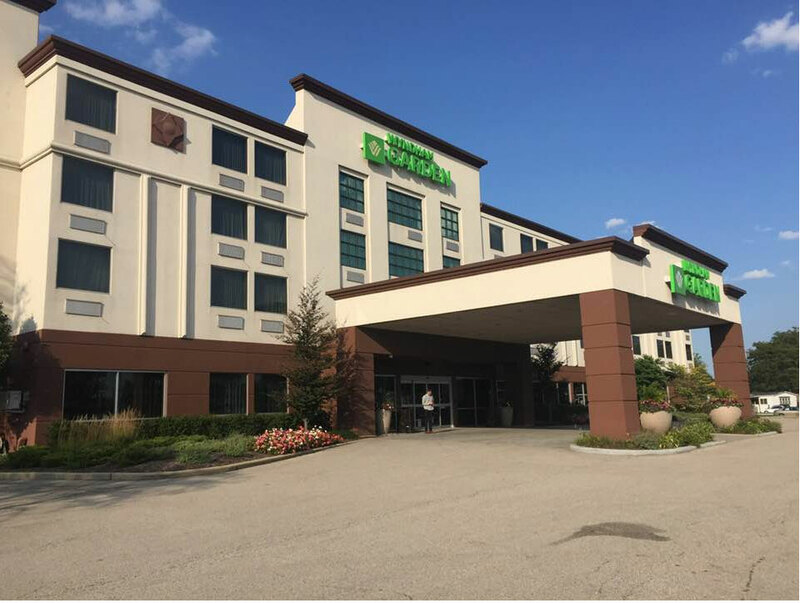 The Hilton Chicago O’Hare is easy to find as it is right opposite Terminal 2 at the airport. If you land at Terminal 5 (which is away from the central terminal area) you will need to catch a bus to the hotel, or the rail service if it is running. From Terminal 2 there is a bridge and elevator to the front of the hotel. This hotel offers a weekender package which, though still expensive at $522.00 for 3 nights (Fri/Sat/Sun), was far far cheaper than the weekday rate (which was something ridiculous like $300 a night). Remember that you MUST book a runway view room to avoid a wasted trip. Now, let me introduce you to Hilton Honors. Its a totally free membership scheme for Hilton Hotels and you can download the app on your smart phone. It was worth its weight in gold. Not only can you pre-book in and get free WiFi with your booking, it also allowed me to check-in at 12:00 rather than the normal 15:00, and to check out at 15:00 rather than the normal 12:00. 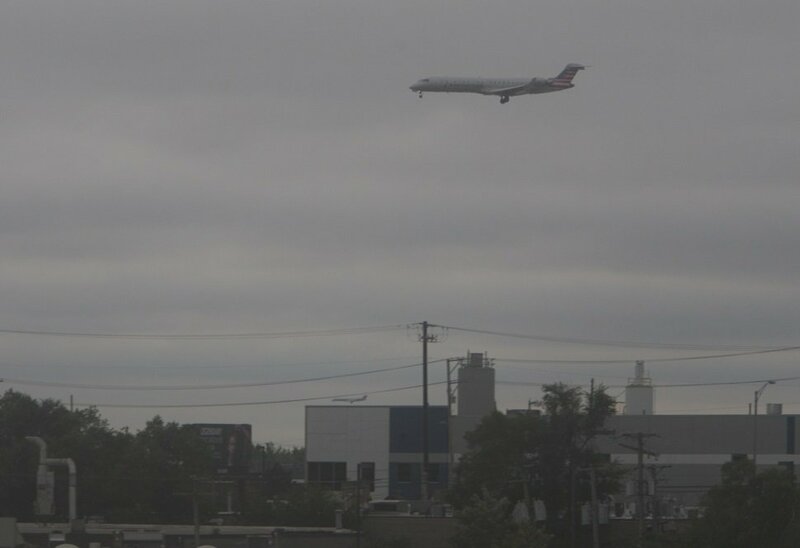 In addition, the 10th floor is reserved for Hilton Honors members, so you also get the highest and best view of the airport. 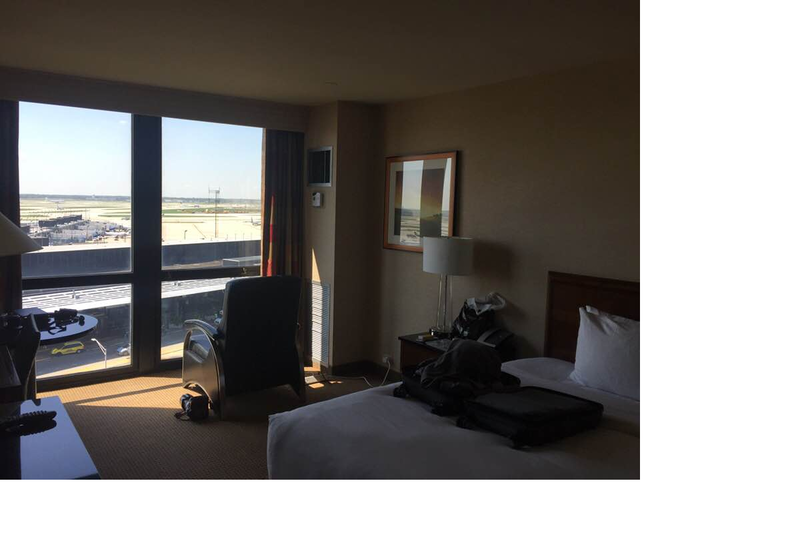 I was allocated room 10018 which gave me fantastic views of most of the south of the airport, plus the United Airlines and American Airlines terminals. It also allowed distant views of all four landing runways. So, with Flightradar24 and decent planning you could see everything landing. The WiFi connection was excellent. The hotel does have amazing views, as you can see from the pictures. But you are very isolated and food options are very limited. The only options I could find were in the hotel, so you will be paying $20.00 for a pizza and $10.00 for a can of beer !! After tax and a tip I paid $40.00 for a pizza and large beer (pint). So remember to budget for this when staying here. Important note: When checking in, let them know you will be watching the aircraft. This is to notify hotel security, as they will get a call from the control tower notifying them of what your are up to. Onto my 2nd hotel, the Wyndham Garden at Elk Grove Village. This hotel offers a free shuttle to and from the airport which collects from right outside and across the road from the Hilton. Very handy! Elk Grove is a mainly industrial area to the North West of O’Hare airport. If you ask for a south facing, 4th floor room you will have a view of all four runway approaches. I was given room 419. However, you will 100% need Flightradar24 to log what is going on as registrations are too distant to easily see. On that subject, WiFi is free at this hotel, but rather annoyingly would only work by the door. So I had to set up there and walk to the window when anything I needed was on its way. I cannot stress enough that I was lucky; on the two days I was there, aircraft were landing past the hotel. So I cannot comment as to how tough it will be if they are approaching from the other direction. But you should be able to see at least one main departure route if you were unlucky. O’Hare is so huge that the closest approach is very close. And registrations could be read with simple optics on this runway. But the other three runways are far/very far away, to the point that you need decent optics to even identify the aircraft. For me this hotel is far more geared to the registration spotter, as you can spot pretty much everything if on the correct runways. One word of warning, however: this hotel has possibly the dirtiest windows I have ever encountered. It was more like frosted glass. So photos through the glass were an absolute zero. The photos here are more to give you a scale of the aircraft distances when on approach. A major positive for this hotel is the cost. Much cheaper at £91.00 a night for mid-week stays. Also, food is far cheaper, with the hotel offering a full bar and food options. Beer was $3.00 and food between $8-15.00 (a burger and fries was $9.00). Also, if you fancy a short walk up the road there are Burger King, Dunkin Donuts and Subway options, plus the Korner House Bar which offers drinks and food at a similar price to the hotel. 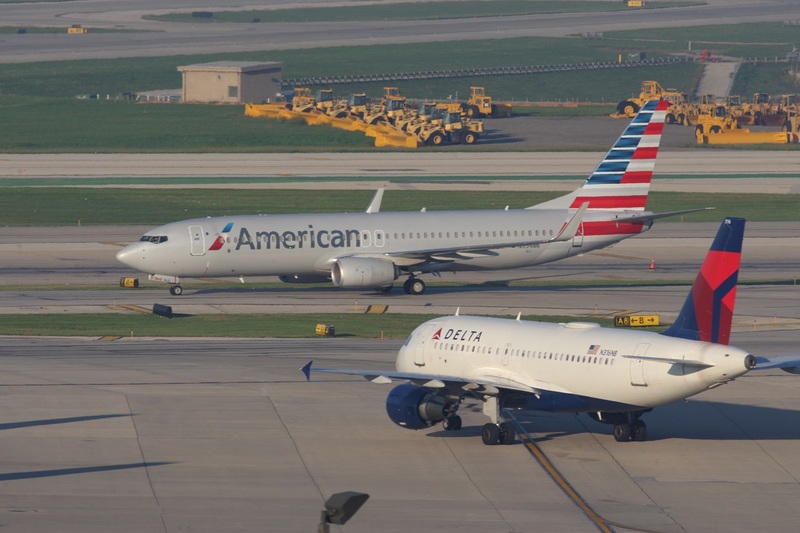 All in all I think I had the perfect five days spotting at Chicago O’Hare. The three days at the Hilton allowed me to get some decent photos, and it was great to be so near the action. Sadly I could not afford to pay $300 a night for a weekday. The Wyndham was a very good replacement for the remaining two days and allowed me to fill some more gaps in the book. 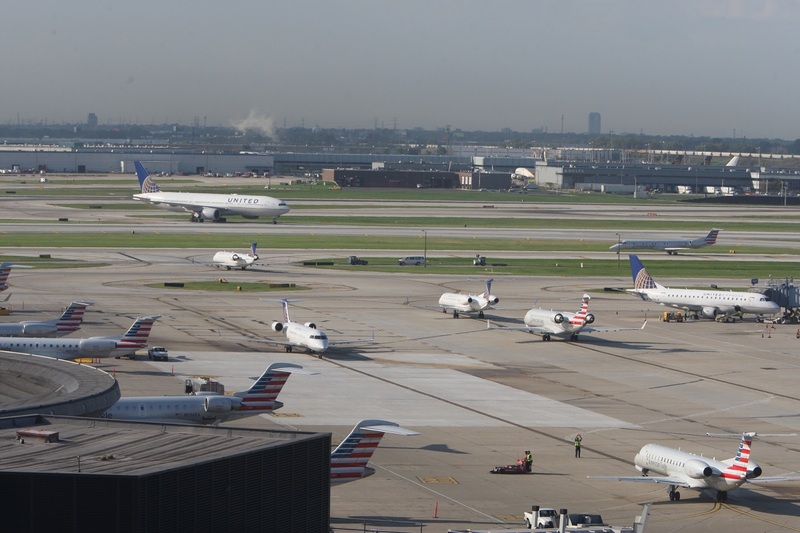 O’Hare is such a busy airport and at times can lead to a total spotter overload. 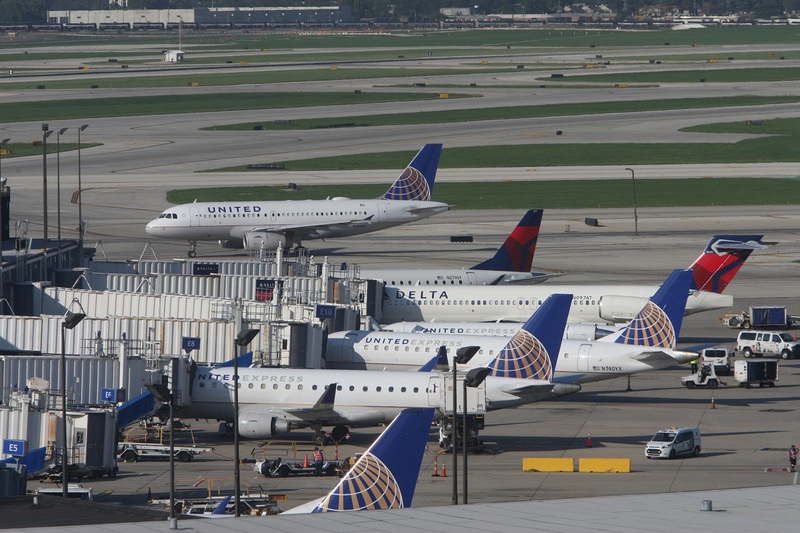 I had times where there were 12 planes on a approach, with 15 aircraft moving from the terminals. Its pretty much non-stop logging and checking for the whole time you are there. I had a fairly decent USA log, but I still managed to log almost 1100 new registration numbers and 50+ aircraft even on the last day. ORD is a very special place!! 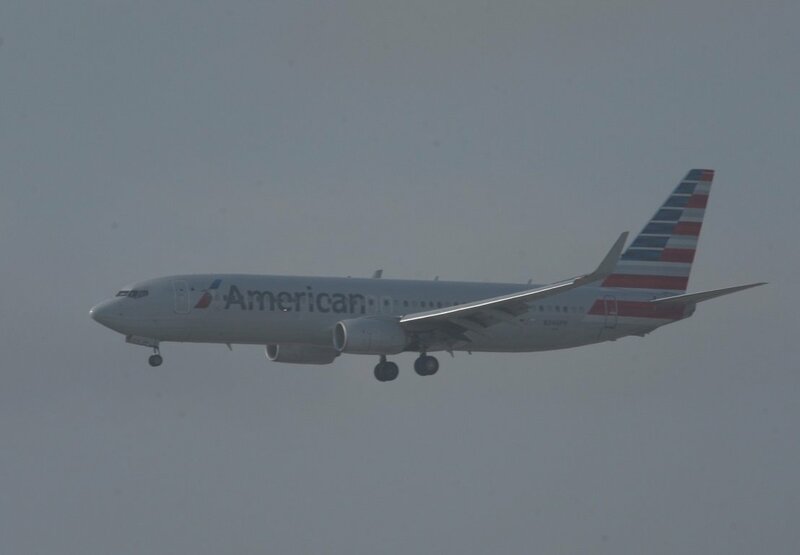 You can expect to make major dents in you American and United fleets, plus American Eagle and United Express. 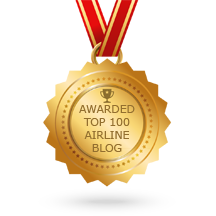 Delta, Spirit, JetBlue, Frontier and Alaska Airlines are also present in decent numbers. There’s not a great deal of international traffic, but you will get a few in addition to decent freighter traffic. 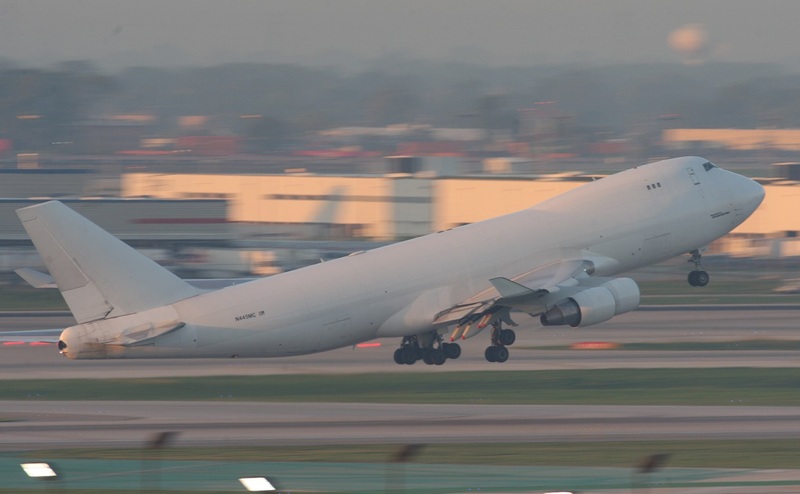 Fedex, UPS, Kallita, Atlas Air, China Airlines, China Southern and China Eastern all made visits, often daily. If you can make the visit do try. Its not cheap but 100% worth it. 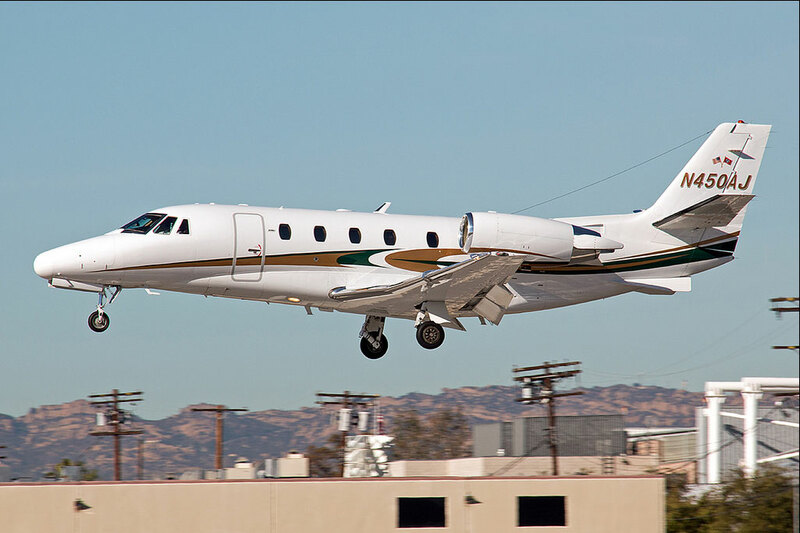 Our thanks to Flying Si for this report. If you have a report from your recent spotting trips, please get in touch! 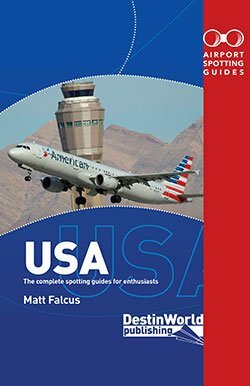 For more on spotting at Chicago O’Hare and over 430 airports across the United States, grab a copy of our book, Airport Spotting Guides USA. 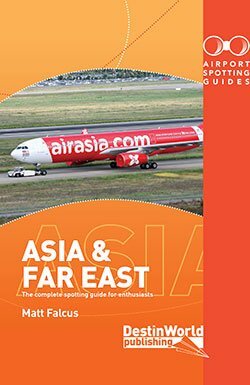 It includes spotting hotels, museums, and the best places to watch the action! 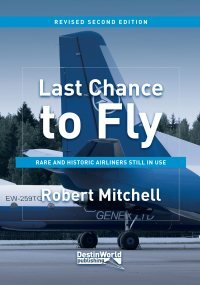 Next story What Happened to Monarch’s Aircraft Fleet?